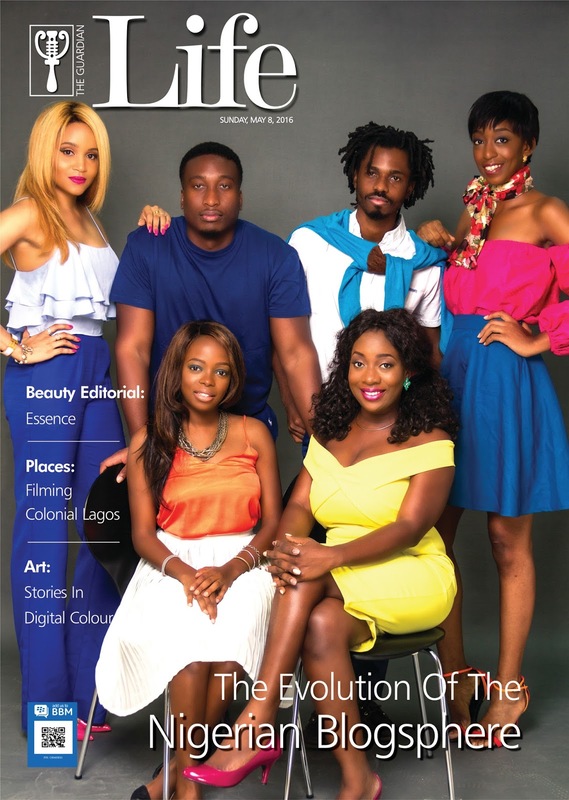 SISIYEMMIE ON THE COVER OF GUARDIAN LIFE NEWSPAPER! This week has been very demanding but also very exciting for me-especially today! 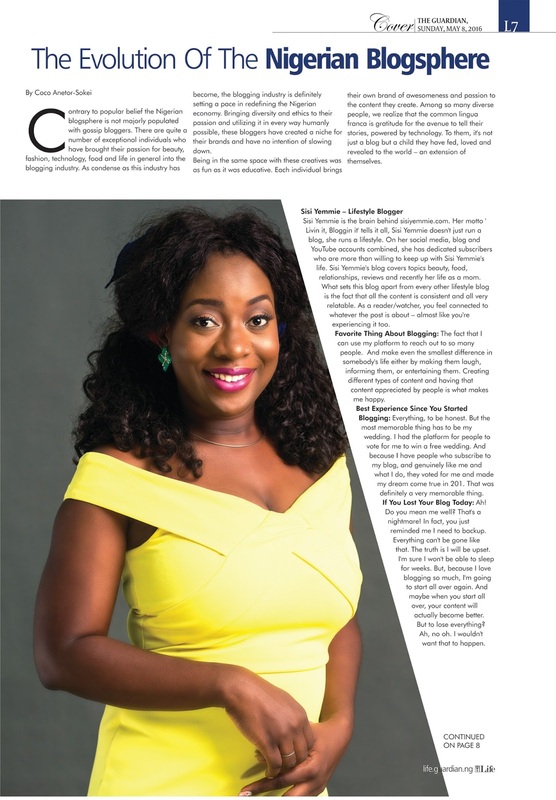 Today I celebrated my son's 1st birthday, today is mothers day, and I was featured in Guardian Life newspaper! Why my body nor go sweet me? It may be too late for you to get your hands on the newspaper because the day has gone by, but it's not impossible sha. Ask your local vendor. I am excited about this features because it shows that blogging is not a waste of my time/effort. I am being recommended for gigs like this by awesome people like you, so thank you! Othe bloggers featured were Cassie of Cassiedaves, Bankole of TechCabal, Ez of Beauty In Lagos and Nosa&Folly of EatDrinkLagos. I was asked three questions, see my answers! Congrats and please mail me that dress! awww congratulations yemmie. this is just the beginning, you are going international soon. I am super proud of you girl.....u rock!!! Beautiful shoot. Nice interview. Keep it up. Congrats Sisi! Hard work really does pay off. You are so photogenic! Well done Sisi, Happy birthday to Tito. I am so happy you were featured Sisi Yemmie, you deserve it and so much more. Congrats Sisi!super proud of you..
Congratulations on your feature. Hardwork really pays. I like your gown by the way, it's so perfect. Fantastically amazing! Two bloggers I love. Cassie and you. I like how you answered your questions in a very down to earth manner. Sounded how I would have answered myself. I'm proud of the force you're becoming, especially when I think back to two, three years ago and gistdotcom days. Anyway, please support my ministry on www.sincerelychibugo.com. I would do an e-faint the day I see you on there Sisiyemmie. I'm such a big fan. Congratulations to all of you guys and gals! I had seen the snaps on Ez and your snaps. Yes to bloggers getting more recognition!! !